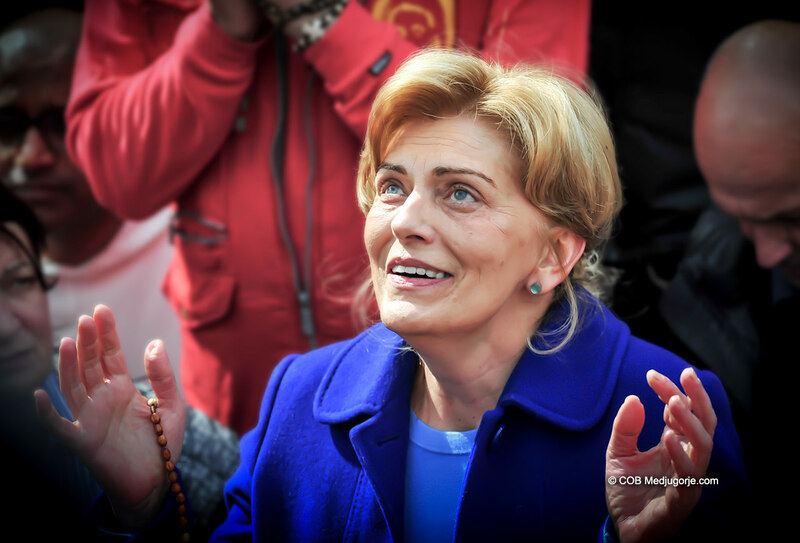 Medjugorje March 18, 2019 A.D.
Medjugorje visionary Mirjana as she receives Our Lady today, March 18, 2019. Our Lady spoke today about peace, a necessary grace needed in this time. What does this say about the near future? Order online here, or call Caritas in the U.S. at 205-672-2000. Outside of the United States dial 001-205-672-2000. Thank you to all who have donated to help get this important book out. We make a strong appeal for many to step forward and help spread this book. We have spent alot to get this book out. It is important to make donation to help cover these expenses. If you are a Field Angel, thank you. Please double your donation this month or give another one-time donation. Thank you for your response in making truth known and to opening hearts. Donate online here, or call in the U.S. 205-672-2000. Outside of the United States, dial 001-205-672-2000. Thank you.